As smartphone use skyrockets, optimizing medical device marketing campaigns for mobile has never been more strategic. With mobile traffic finally surpassing desktop, the number of smartphone users in the United States is expected to rise to 265.9 million by the end of 2019. Plus, a staggering one in five Americans only use the internet on their smartphones, eschewing broadband service entirely. When it comes to healthcare, the signs of a rapidly evolving digital landscape are clear. In 2018, 90 percent of providers reported that they planned to invest in smartphones and secure mobile communications in the upcoming 18 months. 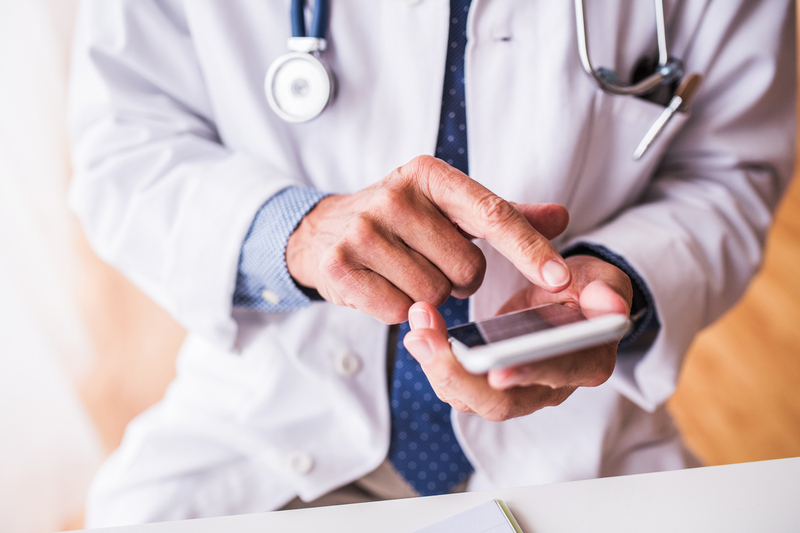 As consumers continue to search for healthcare solutions on their mobile devices, medical companies have a higher chance of engaging doctors, nurses, and patients with marketing efforts that are optimized for smartphones and tablets. When launching a medical device campaign, the following three steps are crucial to capturing the attention of mobile-focused audiences. What marketers may not realize is that mobile queries yield different results than desktop searches in 80 percent of cases. Plus, mobile users are 50 percent more likely to click on a page that has been optimized through the Accelerated Mobile Project — an open-source resource to increase the speed, aesthetics, and performance of websites and advertisements. What’s more, 40 percent of internet users click out of sites that don’t load within three seconds. To ensure a seamless mobile experience, medical device marketers must therefore make sure that their sites load quickly and are easy to navigate. Site copy should be readable without zoom, videos and images should autofit to the mobile screen, and calls-to-action (CTAs) should be direct and simple. Asking visitors to fill out a lengthy form might cause some users to disengage, while a clean “Contact Us” button can leverage a phone’s capabilities to open an email with an auto-populated address or to auto-dial a company’s number. Consumers are busy, and those in the market for medical devices rarely have time to browse the internet looking through pages and pages of information. Therefore, marketing initiatives that target specific searches or social media profiles are the most effective way to capture users’ attention and lead them to informative content. Engaging ads with an educational focus can help medical professionals learn about medical devices on their own time and on the go. In an age when people’s attention spans are growing ever shorter, quick video ads (around the 10 second range) are an easy way to captivate otherwise disengaged users and lead them to a company’s profile or website. In fact, research by Cisco predicts that by 2020 video will account for over 75 percent of mobile data traffic. Medical device marketers can use this trend to their advantage by investing in video content such as tutorials, vlogs, and assisted-learning modules. To further tailor content, medical device companies should craft a mobile experience with interactivity in mind. It’s clear that, as mobile users have come to expect websites with higher functionality, better design, and more engaging features, consumers are no longer content to take a backseat when it comes to digital marketing. They want to be the agents of their own web experience, and they want this experience to be truly social. To this end, medical device marketers who create a responsive mobile experience begin to cultivate a relationship with potential customers. This interactivity can take many forms — from something as simple as a “live chat” feature with a salesperson to a more intricate, immersive digital storyscape that illuminates the features and efficacy of a medical device. Interactivity highlights the beauty of mobile-optimized marketing campaigns — once websites, advertisements, and content have been tailored to mobile audiences, healthcare providers can engage with a medical device’s web presence whenever and wherever they’d like.